Save big money by simply having kitchen countertop refinishing performed instead of replacing entire countertops. It's an easy way to change the look of your kitchen, or get some needed countertop repair. Hard Tops performs countertop refinishing for plastic laminates, such as Formica and Wilsonart, and cultured-marble countertops. Like bathtub refinishing, countertop refinishing takes only a few hours, but shouldn't be used for 24 hours. No chemical cleaners should be used on newly refinished countertops during the first seven days. 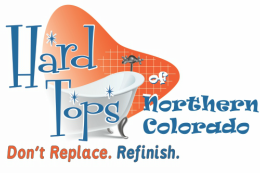 Countertop repair is also a part of Hard Tops' business. 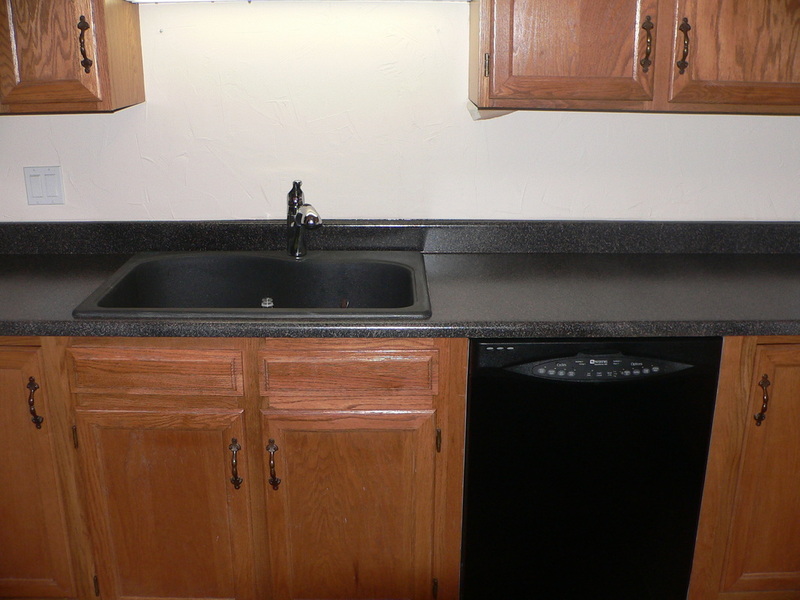 Hard Tops can repair loose strips and broken and missing edging on countertops, as well as chips and cracks. We can also fix major and minor burn damage - major being if the wood substrate is visible. When Hard Tops performs countertop resurfacing on cultured-marble countertops we use Hard Tops Countertop Coating, that actually becomes stronger than the cultured-marble countertops' surface, and therefore protects the countertops better than before. Most laminates and epoxies are only heat-resistant up to 200 degrees. 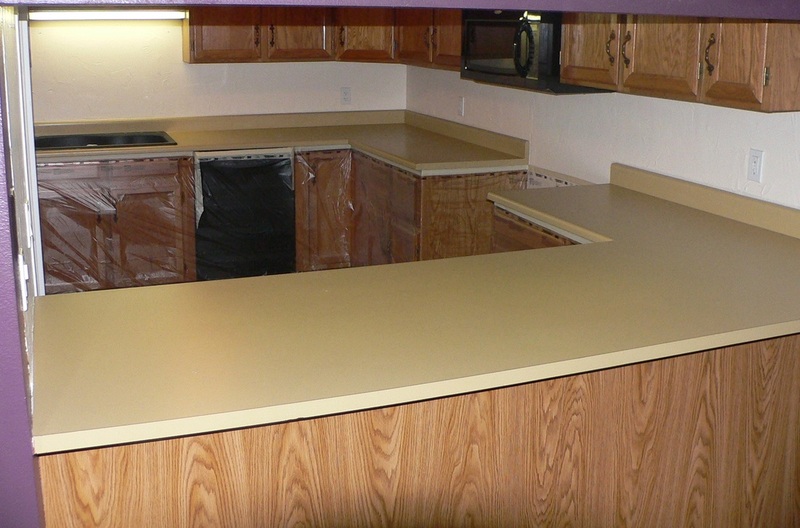 With Hard Tops' special bonding agent, your countertops will be heat-resistant up to 425 degrees. Hard Tops always has white and almond in stock in two different finishes, and customers have the option to order from over 1,000 different designer colors or hundreds of simulated granite finishes. After the coating is applied to your countertops, bathtubs or tiles it has a product life of 15-20 years.